BADDIE BEY SHUT IT DOWN!! As we all know, it was the Super Bowl game yesterday evening which the Ravens won (congrats) causing Twitter to go crazy lol. It was a lovely opening from Jennifer Hudson & Alicia Keys, both stunning women. But when it came to half time, Mrs Carter took the stage & won her crowd over, with her songs from her recent album & oldest ones as well! My favorite part of the performance is when she dutty whined (yes Bey haha). Overall it was a powerful performance, it had me dancing. But in my opinion Beyoncé live in Glastonbury was her best performance by far. Agree to disagree? 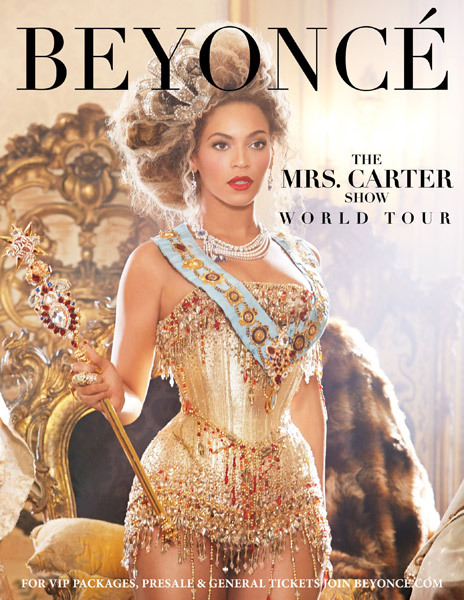 This world tour is Mrs Carter's first ever official one since ''I Am... Sasha Fierce'', first multi-city tour in over three years. The tour kicks off in Europe before hitting America. This was the surprise announcement that Bey had in store for her fans after the Super Bowl half time show. Beyoncé will also headline at the world's largest musical festival 'Rock in Rio' on September 13th in Rio De Janeiro, Brazil & on June the 28th Bey returns to LA as part of the BET experience live at the Staples Center. She is set to headline the first of the three-night STAPLES Concert series.